Journalist and author Michael Levitin has a knack for taking on contemporary issues with an approach that turns heads and opens minds. In 2011, when Occupy Wall Street began in New York City, Levitin co-founded the underground publication The Occupied Wall Street Journal, which helped legitimize the movement. 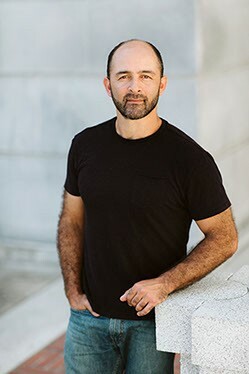 Now, Levitin has taken a stance on this year’s national conversations about masculinity, feminism, generational conflicts and even anti-Semitism in his debut novel, Disposable Man. The Forestville native, now living in Berkeley, reads from the book on Tuesday, Nov. 27, at Aqus Cafe, 189 H St., Petaluma. 7pm. 707.778.6060.